In 2014, the number of people injured in car accidents rose to 2.34 million. According to the Centers for Disease Control and Prevention (CDC), 14.3 percent of all traumatic brain injuries (around 286,000 annually) are caused by these accidents, making your chances of suffering a head injury in a car crash fairly significant. If you were injured in a car accident due to the negligence of someone else, you deserve to be compensated. 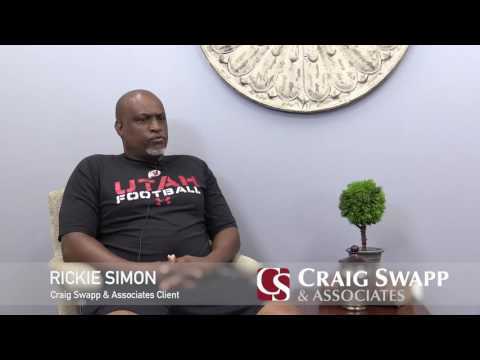 A Salt Lake City car accident head injury lawyer from Craig Swapp & Associates can represent you if you have suffered a concussion or other traumatic brain injury as the result of an accident. You may have suffered a head injury if your head collided with a vehicle or some other object during the crash. This could be a window, door, steering wheel, or debris encountered during the wreck. It’s also possible for the force of the impact itself to leave you with a head injury. After your accident, you should immediately visit a doctor and request a full medical evaluation. Your physician can take CAT scans and X-rays to help determine if you have sustained a head injury and its extent. Keep in mind that a concussion or traumatic brain injury can impact you physically, mentally, and emotionally, so if you feel or behave differently after your accident, it could be due to an undiagnosed injury. In order to correctly value your claim, we will need to understand the full impact your injuries have had on your life and your financial situation. We can gather the evidence required to both prove the other driver’s negligence and demonstrate how your injuries have impacted you. By seeking compensation for things like physical therapy, medication, medical care, time missed from work, and other related expenses, we can ensure that you receive as much money as possible, without leaving any on the table. If your traumatic brain injury has impacted you to such a degree that you either cannot work or require long-term care, we will seek compensation for this as well. Many people make the mistake of settling their claim based only on their current expenses, but at Craig Swapp & Associates, we understand that this is only half of the equation. Our goal is to get you enough compensation to pay for all of your injury-related expenses, both today and in the future. We understand the tactics used by insurance companies, and how they’ll try to limit their liability and reduce how much compensation you receive. This knowledge will enable us to build a strong case that proves the legitimacy of your claim and why you deserve compensation. We can negotiate with the insurance company on your behalf and represent you in court, making sure that your interests are protected and that you receive as much money as possible for your injuries. We encourage you to call our office to discuss the details of your case. We can answer any questions you may have, allowing you to confidently proceed with your claim. Our years of experience with automobile accident law will allow us to accurately inform you of your legal options. You can reach us by either completing the form below or calling 1-800-404-9000. Contact us today and get started on the road to financial compensation.